This is the 30th article in the series, so how do you celebrate that? I did by taking some time off writing. 01:27 when the driving bass kicks in. American born Domenick Filopei and Bo Pericic started making music back in 2003. Back then, there wasn’t many americans who you thought about when you talked about EDM/Dancemusic as the whole dancemusic-scene, especially trancemusic were mostly europeans. The only big names back then from America was BT, Gabriel & Dresden and Markus Schulz but since their success, many new names has risen to superstar-level. But let’s get back to Filo & Peri. The combination of Filo’s rock-influences with Peri’s dance-oriented influecens was early a proclaimed as a match made in heaven. Their first release, Elevation/Juicy got signed to Armin Van Buuren’s label, A State Of Trance which in itself is a sign of quality. Their second release, I:95/Spectrum was even better, especially the driving bassline and the soothing piano in I:95 after the breakdown. I:95 was one of Paul Van Dyk’s hidden gems that he used to play back in the days. The followup, © 1999/Radiate was another smash and for long a favourite for DJ’s like Armin Van Buuren, Judge Jules and Envio. Their first vocal track, the stompin’ trancer Dance With A Devil (with singer Tiff Lacey) was another commercial hit and came with a huge remix-package from DJ Shog, Serge Devant and Flipside. The 2005 collaboration with Mike Foyle ended up in Luana, an energetic trance with a beautiful breakdown. Just love the use of the piano in all kinds of music, especially when it’s played by Mike Foyle. Their second vocal track, Closer Now (with singer Fisher) got alot of attention, especially by Paul Van Dyk who signed it for his Politics Of Dancing 2-compilation. 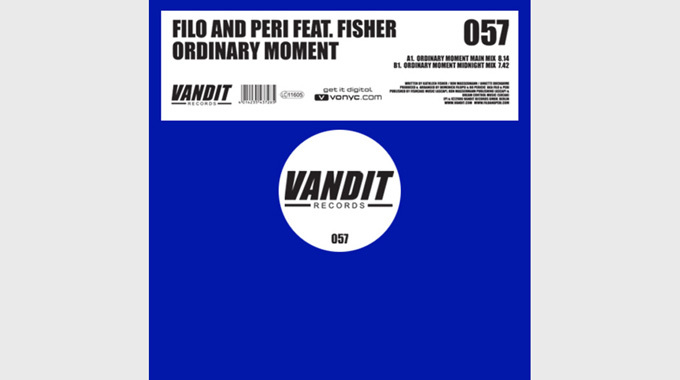 Their next track, Ordinary Moment (with singer Fisher) was even signed to Vandit Records and IMHO one of their best offers so far. I’ve always been a sucker for Fisher’s voice, especially in this track. Also listen after 05.00 when the breakdown starts with that piano and her voice. When the guitar comes in shortly after that, it’s pure magic! The followup to the wonderful trancer Ordinary Moment was actually a bootleg of Doobie Brothers’s old hit, Long Train Runnin’. The housy bootleg never got an official release but was later released with re-sung vocals by Todd Plant. One of their biggest hits to date was the 2007 hit The Anthem (with singer Eric Lumiere). The original version is a tight production, just like Ordinary Moment but I prefer the John O’Callaghan-remix as it skips the normal lyrics and only go for the verse which makes the track dub-like. I just love the guitar in the breakdown, so epic! The followup, Shine On (with singer Eric Lumiere) is a really great track with awesome vocal and U2-like guitar-riffs. I prefer the Aly & Fila-remix though as it’s more uplifting. Soul And The Sun (with Eric Lumiere) has some really epic vocals, especially in the breakdown. I prefer the Guiseppe Ottaviani-remix and also really dig the more progressive Jerome Isma-Ae Remix. The 2009 hit Ashley (with singer Aruna) is another one of Filo & Peris biggest hits. The sweet vocals by Aruna is to die for and certainly a goosebump-song, especially the Alex M.O.R.P.H.-remix. 2009 was also the year that Filo & Peri’s first artist album came out. Nightplay was a pretty decent 15-track album containing all the hits to date and also a few new ones. There were also a couple of EP’s released like Drops Of Jupiter and Drops Of Jupiter Remixed. The next vocal track, Off The Hook (with singer Eric Lumiere) came out in 2010 and didn’t really make any big impression on me. It’s not bad at all but just went by me music-wise. The same goes for the rest of Filo & Peri’s releases except for This Night (with singer Audrey Gallagher) which I really liked. This Night came with sweet remixes from Dash Berlin, Max Graham & Alex M.O.R.P.H. just to name a few. The last track I liked from Filo & Peri was the collaboration with Sara Crockett & Goodbye Pluto on The Hardest Thing. It differs in sound from the previous tracks as its more Pop-ish. Love the Norin & Rad Remix though. IMHO, Filo & Peri’s glory days were from 2006-2009 and at this period they released some major tracks which in my books all are classics. I love the vocal collaborations with Eric Lumiere, Fisher & Aruna and how their vocals together with Filo & Peri’s tracks is a match made in heaven.